For the first time, say researchers, comprehensive DNA and RNA sequencing of a patient's tumor have been used in a clinical trial to inform real-time treatment for patients with recurring glioblastoma. The Translational Genomics Research Institute (TGen), University of California, San Francisco (UCSF), and the Ivy Foundation Early Phase Clinical Trials Consortium led the study, which “demonstrates the feasibility of using genome-wide molecular tests to guide treatment in recurrent glioblastoma,” the researchers concluded. The study, Prospective feasibility trial for genomics-informed treatment in recurrent and progressive glioblastoma, was published Friday in Clinical Cancer Research, a journal of the American Association for Cancer Research (AACR). In the study, conducted at UCSF, 15 of 16 glioblastoma patients received TGen's genomics-informed treatment recommendations, in which the therapeutics suggested by UCSF's Molecular Tumor Board were matched to each patient's individual genetic code. Of the 15, seven patients were treated by their physicians using the genomic-based recommendations. All genomic sequencing, genetic analysis, and recommendations for treatment were completed in less than 35 days after surgery—a key to the study which ensured that suggested therapies could begin within a clinically acceptable time frame, the researchers said. Glioblastoma has a median overall survival of only 15 months for newly-diagnosed patients; as a result, nearly all glioblastomas recur. While patients whose brain cancer returns are often encouraged to enter clinical trials for experimental treatments, further progression of the disease in those patients is still seen on average within 4 months. However, the study showed that two of the patients experienced progression-free survival for more than a year. “One of these patients [was] progression-free at 21 months, three times longer than the time to progression on their previous therapy,” added Michael D. Prados, M.D., the Charles B. Wilson Endowed Chair in Neurological Surgery at UCSF, and the study's senior author. In their study, the researchers also reviewed more than 180 FDA-approved agents, including all FDA-approved oncology drugs and a selection of repositioned agents that are approved by the FDA for other indications but have shown promising activity against cancer pathways. The UCSF Molecular Tumor Board considered the drugs supported by the genomic data for each patient, and discussed each drug's ability to penetrate the blood-brain barrier, potential opportunities to combine treatments, drug-to-drug interactions, and drug-safety profiles, researchers said. Two patients with recurrent glioblastoma survived more than a year. 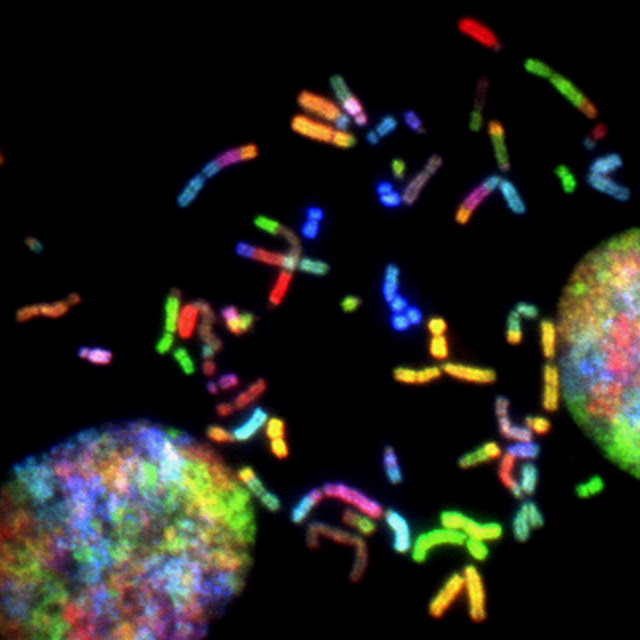 One was a 58-year-old woman who showed mutations in her NF1 and PALB2 genes. For her, the tumor board recommended treatment with a combination of trametinib, olaparib and carboplatin. The other recurrent glioblastoma patient who survived more than a year was a 35-year old man who showed mutations in the IDH1 and ATRX genes. For him, the tumor board recommended treatment with a combination of CCNU, carboplatin, and metformin. The patient and treating oncologist opted for treatment with CCNU and metformin, through which he remained progression-free for just over one year. Joining the researchers from TGen, UCSF, and the Consortium were physicians and scientists at the University of Texas MD Anderson Cancer Center; the University of Utah Huntsman Cancer Institute; Dana-Farber Cancer Center; the Jonsson Comprehensive Cancer Center at the University of California, Los Angeles (UCLA); and the Memorial Sloan Kettering Cancer Center. The study was funded by the Scottsdale, AZ-based Ben & Catherine Ivy Foundation. “This study shows a remarkable advance in our ability to treat this most aggressive of brain cancers, and provides glioblastoma patients with hope that we can conquer this disease,” said the Foundation’s President, Catherine (Bracken) Ivy.